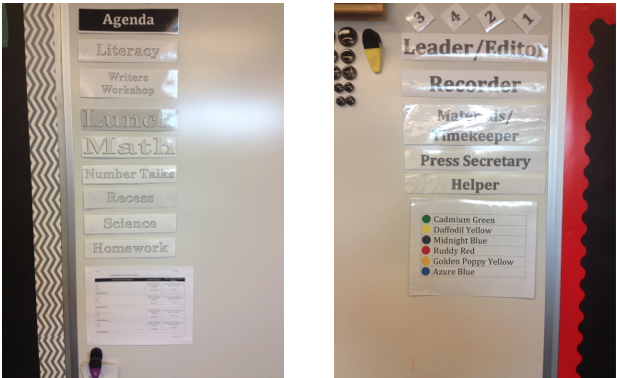 Below is a small glimpse of my classroom and some of the supports I’ll be using to increase engagement, group students, and keep expectations explicit. Many of the following likely can be purchased—and look prettier—online; but if you are partial to free, these should work. If you have been working long enough to think back to the days of Cooperative Learning (that’s almost 10 years ago!) you may see some pretty familiar strategies. This entry was posted in Classroom Management and tagged classroom management, cooperative learning, free, resources, roles. Bookmark the permalink.